We’ve have been working with contractors and local authorities for many years, supporting them with the best products and service. We have been installing Ideal boilers for the Past 3 Years Those Being the Logic Standard Range We receive a same day next day response on our 5 Year warranty work and also training is provided on boilers as required for new engineers, over the last 9 Months we have installed over 700 boilers having very few issues, the product related visit rate is Less than 1.5% on over 700 boilers that are under warranty and Because of this I would recommend the Ideal Logic boiler Range. 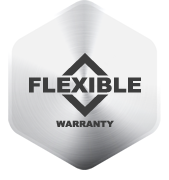 We were looking for a boiler that could provide a long warranty on the heat exchanger, with Ideals flexible approach to warranties we were able to achieve this. Not only that the logic range of boilers are a great fit for all locations and aesthetically pleasing at a great cost and quality. Our Installers find the products good and easy to install and we don't get any complaints from End users. The supply chain at Ideal is very, very good in fact it's excellent. — Roy Muller, — Birmingham City Council. 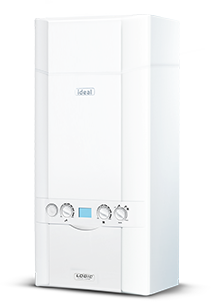 We have been installing Ideal boilers for the Past 6 Months and have had Trail boilers for the Past Year Those Being the Logic HE30, We receive a same day next day response on all warranty work and also training is provided on boilers as required for new engineers, over the last 9 Months we have installed over 850 boilers having very few issues, with the industry standard product failure rate being 6% our product related visit rate is Less than 1% on over 1350 boilers that are under warranty and for these reasons I would highly recommend the Ideal Logic boiler. Ideal Logic boilers installed in Royal Institute of Chartered Surveyors award winning development! Derwentside Homes' trialled the Ideal Logic range of boilers in a state-of-the-art, independent living scheme for the over 55's which has now been recognised as one of the best residential developments in the North East by the Royal Institute of Chartered Surveyors (RICS). A Derwentside Homes' flagship development Castle Court in Annfield Plain, County Durham won the Residential category and was also shortlisted in the Building Conservation category after a major refurbishment which included installing 45 Logic boilers. Castle Court first opened its doors in 1985 and comprised of 32 bedsits. After consulting with tenants and seeing a decline in demand for traditional outdated bedsit accommodation, Derwentside Homes decided to give the building a complete makeover. Part of that makeover included updating the central heating system, Derwentside Homes needed a reliable boiler that offered value for money, and would be easy for its residents to operate. North East Procurement (NEP) ranked Ideal Logic boilers number one, prompting Derwentside Homes to install Ideal boilers throughout the Castle Court development. Since the huge success of the Castle Court development, Derwentside Homes have installed approximately 100 Ideal Logic boilers on a number of social new build sites.